Trump takes on China with new trade tariffs – is he dragging the world into a great depression? US President Donald Trump is escalating the American trade war with China by announcing import tariffs on $200 billion worth of Chinese goods. China has promised to retaliate. 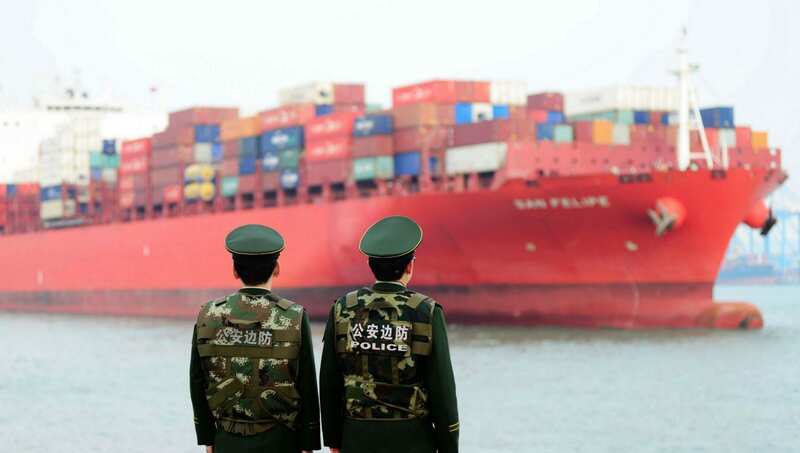 The move, which sees $200 billion worth of Chinese imports slapped with a ten percent levy, comes amid a deepening trade spat between the world’s two largest economies. The tariffs will be applied to more than 6,000 Chinese products, including consumer goods like electronics, bicycles, tyres, and furniture – all of which are manufactured in Chinese factories for export. The ten percent tariff will take effect on September 24, and rise to 25 percent on January 1, 2019. Earlier on Monday, Trump announced: “It will be a lot of money coming into the coffers of the United States of America. A lot of money coming in,” he said. In remarks from from the White House, he said he was confident an agreement could eventually be reached with China, but stressed such an accord must do right by American workers. The Chinese have previously hit back with tariffs on $50bn worth of US products in retaliation, targeting their response against key parts of the president’s political base, such as farmers. The government has outlined a plan to impose further tariffs on roughly $60bn worth of US goods, and threatened other measures.